Ever since we've been together, Jeff and I have never once coordinated costumes for Halloween. In fact, up until last year, we'd never actually dressed up in costume for Halloween. Thankfully a friend of mine started a Halloween party tradition last year, so now we're forced to conjure up costumes every year in order to attend. I'm happy to report that our first experience with coordinating costumes was a total success. Not only did we win the Most Original Costume award at the aforementioned Halloween party over the weekend, we spent a total of $6 on our costumes. 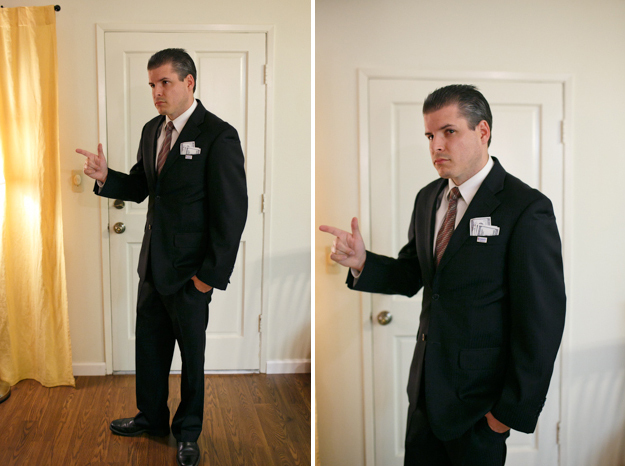 Jeff dressed up as Mitt Romney, complete with graying hair and all. I'm still laughing about how realistic it looked. 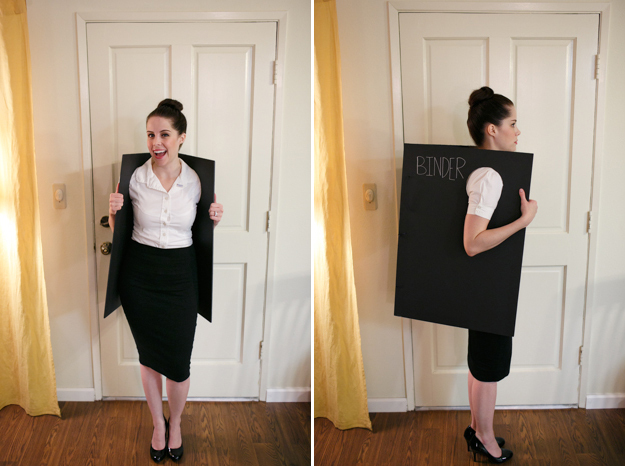 My coordinating costume is courtesy of a joke from the 2nd presidential debate this year. Because we're way too old to get away with trick-or-treating (I stopped at age 19 and I've been depressed ever since!) and we never get trick or treaters where we live, we always end up staying in on Halloween night. It's become somewhat of a tradition for us, complete with pizza, our Hocus Pocus DVD and plenty of candy. That's exactly how we'll be spending this evening and I'm totally excited about it. Happy Halloween everyone!